The Bible story of Noah and the great flood told in a song and learning to say “Noah & The Ark” in 10 languages spoken around the world! Then a Storytime narrative completes this entertaining and educational Bible story program for kids! 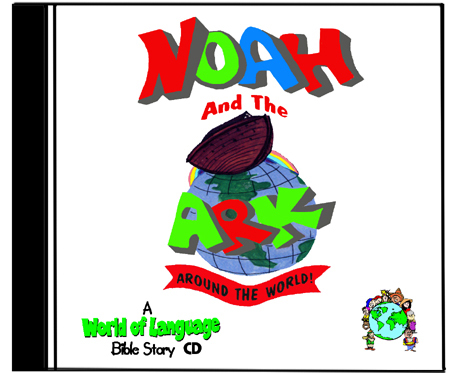 The story comes to life as kids listen, sing and color the beautiful illustrations in the follow-along book, then learn how people around the earth say NOAH & THE ARK in Greek, Korean, Spanish, German, French, Hebrew, Swahili, Arabic, Italian and Polish!